The increasing globalization of the world is encouraging entrepreneurs from all four corners of the globe to expand their businesses into new markets, and Latin America is one of those. Latest figures from the Economic Commission for Latin America and the Caribbean show that last year, more than US$161.9 billion from investors was pumped into the region, a figure that has remained stable in the past decade. As more entrepreneurs see the benefits of international expansion, Latin American countries are becoming increasingly popular – so much so that some are calling Latin America the world’s next growth engine. Panama ships more than US$11 billion worth of goods around the world every year, with chemicals, pharmaceuticals, electrical equipment, and clothing and accessories topping the list. Before opening a company in Panama or indeed elsewhere in Latin America, it’s important to measure the demand for your products and get to grips with how you will be able to import or export those products to multiple markets. The Panama Canal is the jewel in the country’s crown, and in 2018 welcomed more than 13,795 transits and 255,049,145 long tons of cargo from markets around the world. 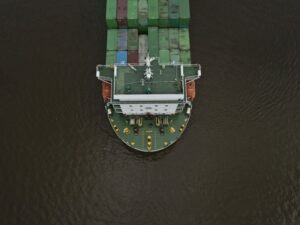 Now more than 100 years old and bringing more than US$1 billion to the Panama economy every year, the Canal offers businesses unique access into Latin America and connects the Atlantic and Pacific oceans, saving time and money on importing. Export businesses can also benefit from Panama. The country ships more than US$11 billion worth of goods around the world every year, with chemicals, pharmaceuticals, electrical equipment, and clothing and accessories topping the list. According to World’s Top Exports, three-quarters of exported goods are sent to other Latin American countries, whilst 24% of exports end up in North American markets, offering significant opportunities for profitability. Colon Free Trade Zone: Businesses who import and export can take advantage of the Colon Free Trade Zone when trading with other Latin American markets. There are no import duties, only a 5% dividend tax and no tax on income that is derived from exports. The Panama Pacifico Special Economic Zone: Call centers, back office service companies, offshore companies, logistics companies, digital transmission firms, maritime services, aviation businesses, and high-tech manufacturing businesses can become part of The Panama Pacifico Special Economic Zone, which was designed to form “a bridge between tradition and innovation, country breathing space and big-city accessibility, private funding and government support”. The zone offers duties and tax exemptions when transferring goods between ports, and access to immigration visas and work permits to increase their number of foreign workers. City of Knowledge: Only scientific, technological, human development, and cultural businesses can enter into this free trade zone, which offers import duty exemptions on vehicles, equipment, furniture, and machinery, as well as income tax exemptions and property transfer tax exceptions, quota exceptions for visas and permits to encourage more highly-skilled workers to enter into Panama to innovate. As well as the Panama Canal, there are several other infrastructure projects which make trading with Latin American countries a breeze. In 2019, the Government Strategic Plan will invest in roads and the Pan-American Highway, whilst the $2.6 billion Line 3 Panama Metro investment project not only allows for easier travel around the country but will connect Panama City to the west, unlocking opportunities for networking and for tourism and events businesses that require customers to visit their physical location in Panama in order to sell. Businesses that wish to trade across Latin America can take advantage of Panama’s offshore business environment. The country does not impose income taxes on profits made outside of the country, and its banking and legal sector is designed to protect assets from future liability and allow businesses to keep their profits safe in an offshore bank account. In addition, entrepreneurs do not even have to enter into Panama to incorporate their business and can hold board meetings and conduct day-to-day business in any country they wish. 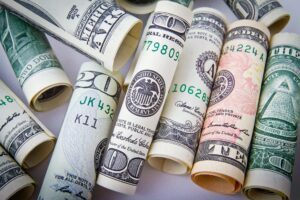 With the growth in business between Latin America and the US, being able to trade with a dollarized economy reduces risk and currency fluctuations. When expanding into a new country, it’s important that an entrepreneur can get to grips with the economy as soon as possible. With the growth in business between Latin America and the US, being able to trade with a dollarized economy reduces risk and currency fluctuations and ensures your business will stay profitable. Whilst 93% of Panamanians speak Spanish as their first language, high education levels in the country means that English is fluently spoken by 14% of the population, particularly in key startup hubs and cities. This number may seem small, but it equates to around 573,860 people as of 2019 – a significant labor market that reduces barriers to entry and allows you to manage a team in your native language. One final benefit to consider is Panama’s relaxed and generous work permits. Processing time for work permits and visas takes around two months, whilst entrepreneurs can apply for permanent residency in the country once they have lived in the nation for two years. The country’s free trade zones and other incentives mean that businesses requiring highly-skilled workers can apply for work visas on behalf of their foreign workers. With an impressive import and export hub, strong trade zones, growing infrastructure, an offshore business environment, a dollarized economy, English-speaking population and lots of work permit and visa options, launching a business in Panama allows you to expand your business and enter into key Latin American countries, home to more than 650 million people. If you need assistance incorporating your new business, get in touch with the back-office and market-entry specialists at Biz Latin Hub Panama. Contact our team today at [email protected] to receive a personalized market entry strategy for your business.